Quatrefoil lattice pattern in brown over linen-weave neutral toned fabric adds personality to this accent chair. Rounded track arms and a tight back keep the lines of the chair simple, so it will fit in any style decor with ease. 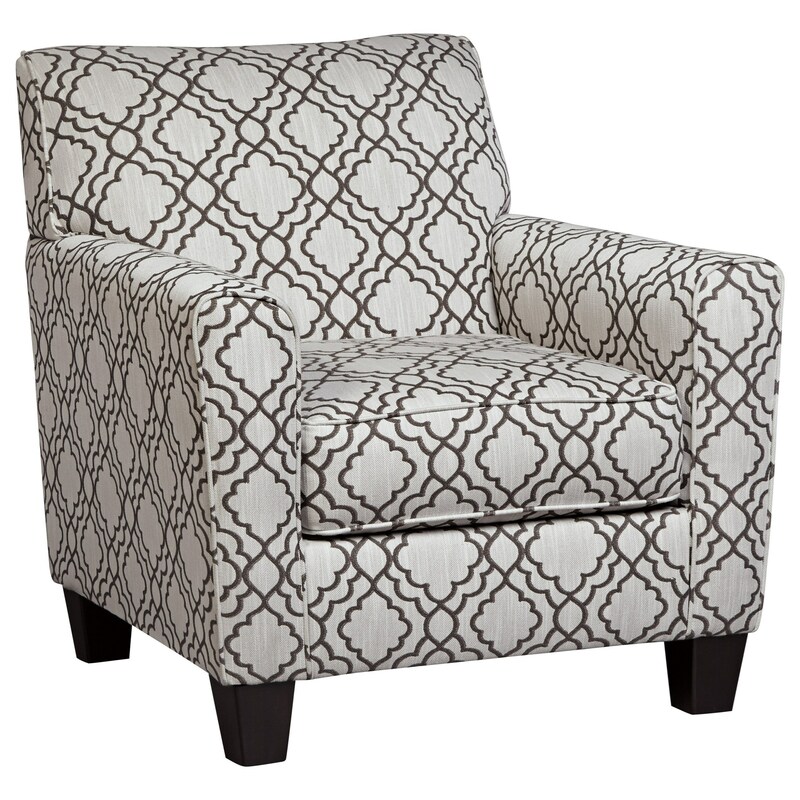 The Farouh Accent Chair with Quatrefoil Lattice Fabric by Benchcraft at Virginia Furniture Market in the Rocky Mount, Roanoke, Lynchburg, Christiansburg, Blacksburg, Virginia area. Product availability may vary. Contact us for the most current availability on this product. Frame Construction Frames and seating foundations have been tested to quality standards to insure durability and comfort. Stripes and patterns are match cut.